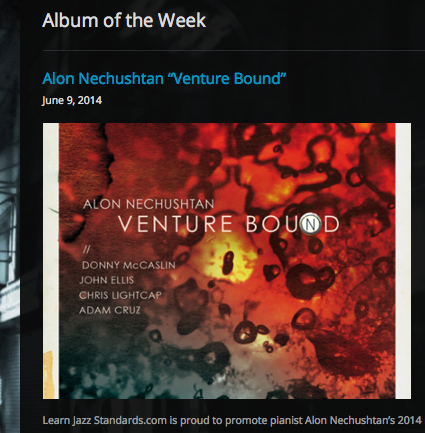 Learn Jazz Standards.com is proud to promote pianist Alon Nechushtan’s 2014 release of Venture Bound. 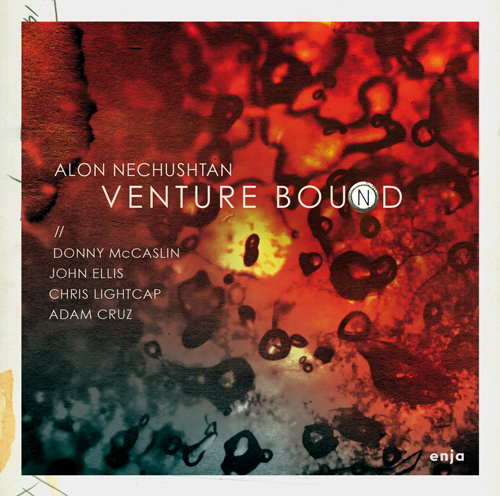 Joining Nechushtan for this quintet release is Donny McCaslin and John Ellis on saxophone, Duane Eubanks on trumpet, Chris Lightcap on bass, and Adam Cruz on drums. Set to release on June 10th 2014, this imaginative record possesses a distinct musical fingerprint; a statement of creative personality from Nechushtan. 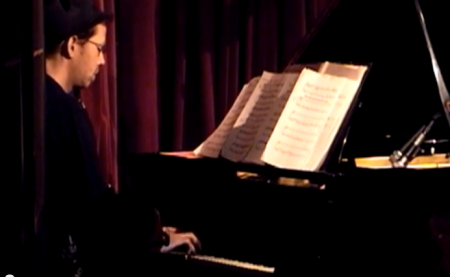 Hailing from Israel, the pianists move to New York City a decade ago has lead him to perform with the likes of William Parker, Don Byron, Donny McCaslin, Bob Moses, Ben Allison, John Ellis, Fransisco Mela, Andy Statman, Frank London, Chris Cheek, Chris Speed, Marc Helias, Marc Dresser, Andrew Cyrile and many more. Nechushtan’s compositions are really what makes this record glow with brilliance. 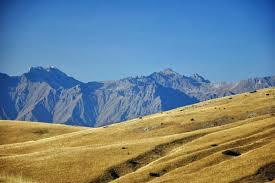 L’Avventura, is explosive with energy. 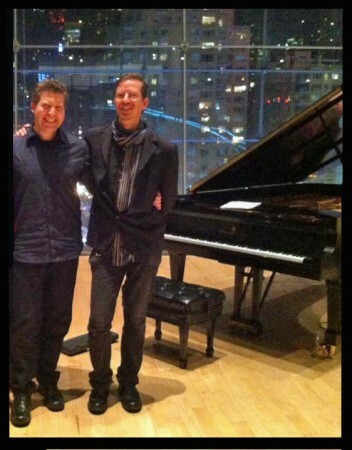 A tasteful piano intro leads into a rhythmic melody followed by a slew of powerful solos by John Ellis and Nechushtan. Gratitude Suite‘s commanding melody is doubled by sax and trumpet, followed by an excellent solo by Eubanks. The head of Pomegrenades dances in and out of a straight-eight feel and swing. The band interacts beautifully with one another on this track. 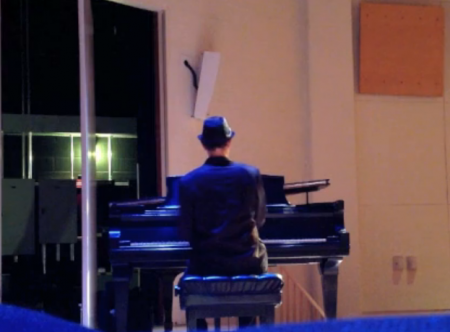 Chris Lightcap takes a phenomenal solo on Sneak Peak. 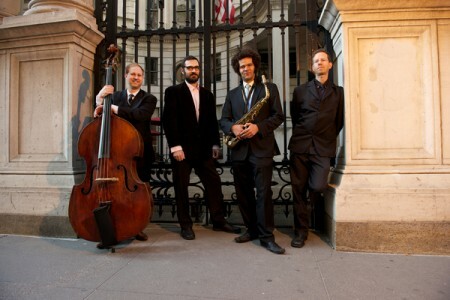 FAQ is reminiscent of a Thelonious Monk composition; bouncy and swinging. The melody on Serpentrails is enchanting; resonating a passionate plea of hope and longing. Venture Bound is a record that exudes personality and emotion. 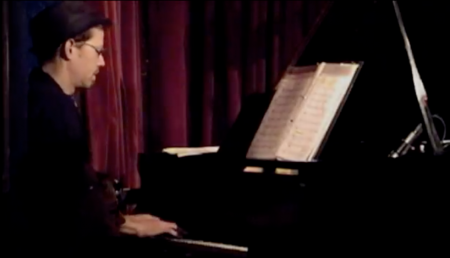 Alon Nechushtan has brought to life a musical vision, and brought together a band that works phenomenally together. 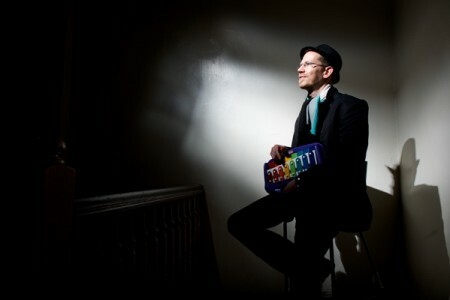 With a beautiful repertoire of original compositions, stellar musicianship, and creative improvisation, Venture Bound is a record not to be missed.